The idea behind an agency trade desk is that it's very hard to buy media programmatically and there's a certain level of technological and industry expertise required to effectively optimize media buys through DSPs, DMPs, PMPs, etc . The reasoning continues that it would be most efficient to create a centralized entity with this expertise to service the agency broadly. To this end, ATDs have done an admirable job. Agencies tend to bill their customers as a percent of media spend - or something serving as a proxy for that number. The deal sizes in TV are significantly larger than in digital, and harder to optimize - meaning less resources are required. As the world has moved away from TV - and towards programmatic online, the advertising world has grown in complexity - and margin pressure has also increased on the agencies. This has put them in a tough spot, to some degree. Because agencies themselves can choose to use them or not, holding companies generally chose to bill the usage of ATDs as a secondary service. This means that the agencies would pay a fee (a percent of media spend) to the agency trade desk - which covered the cost of services rendered plus some profit. Because clients would pay a certain fee to the agency, and a second fee would be deducted when the agency used the trade desk, this meant the agency holding company kept a larger overall percent. 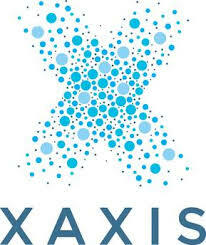 WPP's Xaxis is operating less like a traditional trading desk, and more like a technology company that brands can opt into using for media buying - transparently optimizing for its own margin as well as the client's KPIs. Publicis's Vivaki has been decentralized throughout the agency, no longer existing as a centralized entity, but instead having the talent absorbed by the different agencies (I don't know how they bill now that it's disbursed). 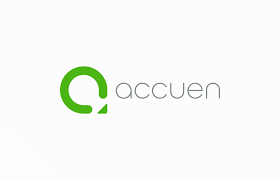 Omnicom's Accuen and IPG's Cadreon appear - at least for the time being - to be staying the course with their current models.